Dr. Ahmet Kırman graduated from Ankara University, Faculty of Law. He went on to obtain his Master’s degree in EU Competition Law and Ph.D. in Commercial Law from the same institution, becoming Associate Professor and then Professor of Financial Law. Dr. Kırman served as Faculty Member, Division Head, Head of the Finance Department and Institute Director at Ankara University, Faculty of Political Science. He was also a Faculty Member at Galatasaray University, Faculty of Law. Dr. Kırman started his professional career in 1981 as a judge for the Council of State. Subsequently, he joined Türkiye İş Bankası A.Ş. where he held various positions in banking and insurance. 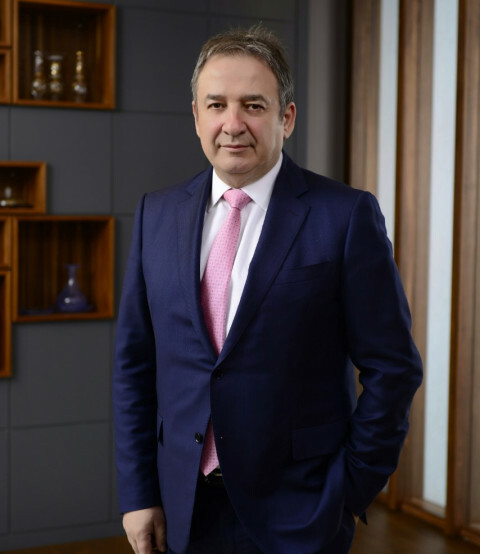 He served as Chairman of Türkiye İş Bankası A.Ş., Milli Reasürans T.A.Ş., Destek Reasürans A.Ş., and Petrol Ofisi A.Ş., and Board Member at several other major companies including Anadolu Sigorta A.Ş. Dr. Kırman has been the Chairman and Managing Director of Türkiye Şişe ve Cam Fabrikaları A.Ş. between the years 2006 and 2011, and Vice Chairman and CEO of Şişecam Group since 2011. Dr. Kırman is also the Chairman of Soda San. A.Ş., Trakya Cam San. A.Ş., Anadolu Cam San. A.Ş., Paşabahçe A.Ş. and several other Group companies. Under his management, Germany and Italy in Western Europe, Hungary, Slovakia, Romania and Ukraine in Eastern Europe, Bosnia and Herzegovina in the Balkans, Egypt in North Africa and India in Southeast Asia have been included among the countries of production through strategic investment initiatives. Thus the number of countries where Şişecam Group have been carrying out production activities increased from four to 13, while the number of production facilities rose from 26 to 43. Subsequently, the volume of glass and chemicals production has doubled, while the number of employees increased from 15 thousand to 22 thousand. He has also served on the Board of Directors at ICC Turkish National Committee, BTHE and IAV. In addition, Dr. Kırman was a member of TEPAV’s Board of Trustees and Board of Directors and the Turkish Shooting and Hunting Federation’s Board of Directors and Council of Legal Affairs. Dr. Kırman is author of 12 books along with numerous scholarly articles and invited speaker at numerous scientific as well as business meetings.